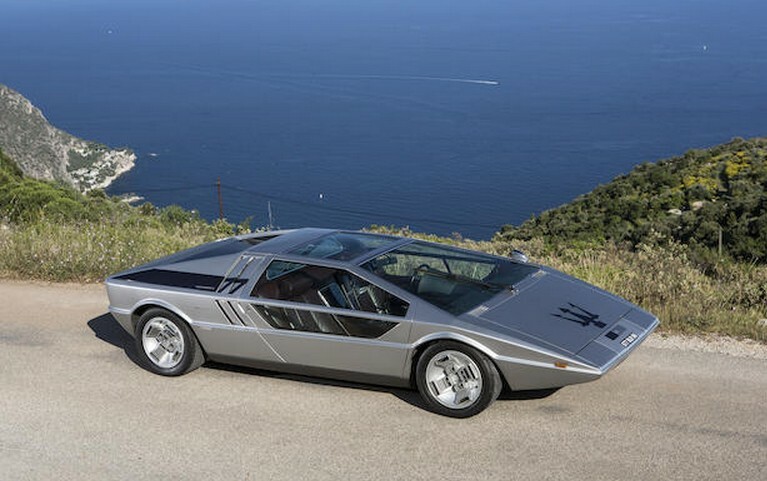 This wild – and iconic – 1970s Italian concept car was designed by the master himself, Giorgetto Giugiaro. This is a concept car in the classic sense of concept cars – out there ideas that really don’t have a shot at production. But unlike many, this thing is not only fully functional, but road registered. 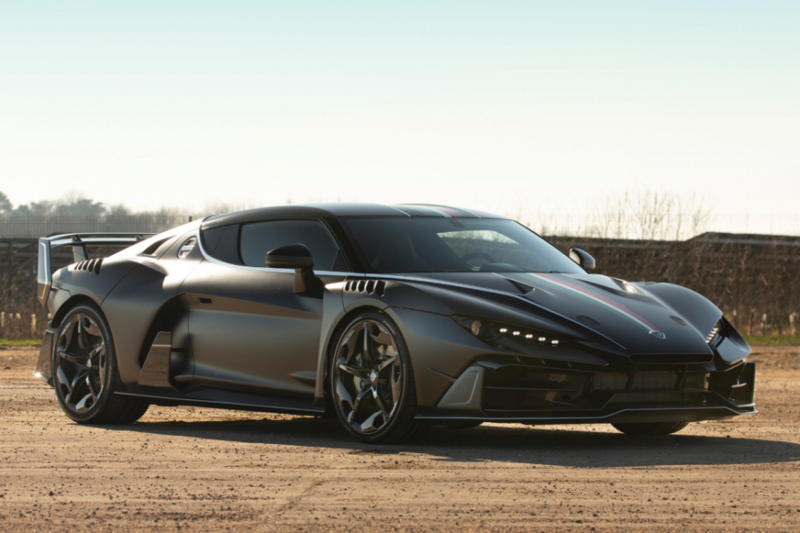 It’s powered by a 4.7-liter V-8 from a Bora making 310 horsepower. The engine is mounted in the rear and the driver sits in a sort of glass greenhouse. The front of the sharp wedge has a giant, (and we mean giant) Maserati trident slapped on there so there’s no mistaking what company this car represents. Remember, this is from 1972 – cars that actually looked like this (wedges sharp lines and creases… think Lotus Esprit) were on sale for decades after. The Boomerang premiered at the 1971 Turin Motor Show and made its rounds across Europe in 1972: Geneva, Paris, London, Barcelona. It was sold after the Barcelona show to a Spanish resident until a German took it home with him in 1980. It was restored and appeared at shows as early as 1990. A few other owners have had the pleasure to be this car’s caretaker and it had another slight restoration in 2003. It’s been welcomed at car shows all over the world and will continue to be. This is a rare chance to own a true concept car from one of the greatest automotive designers of all time. No pre-sale estimate is available, but if you have to ask, you can’t afford it. Click here for more info and here for more from Bonhams.